Coconut trees: it’s a love-hate relationship. We forgive you for hero worshipping this picture-perfect palm; it’s an iconic image of a tropical holiday and we love them for the versatility of their delicious and nutritious fruit. 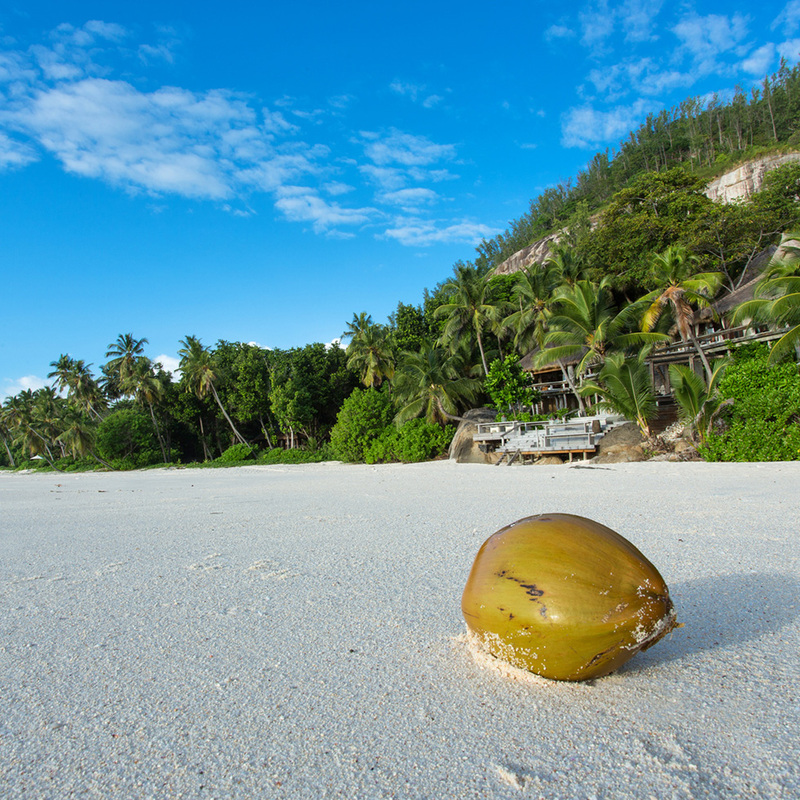 But believe it or not, the coconut tree is not indigenous to the Seychelles. It’s an invasive species that takes constant effort and a dedicated team to clear them, making way for endemic life on North. 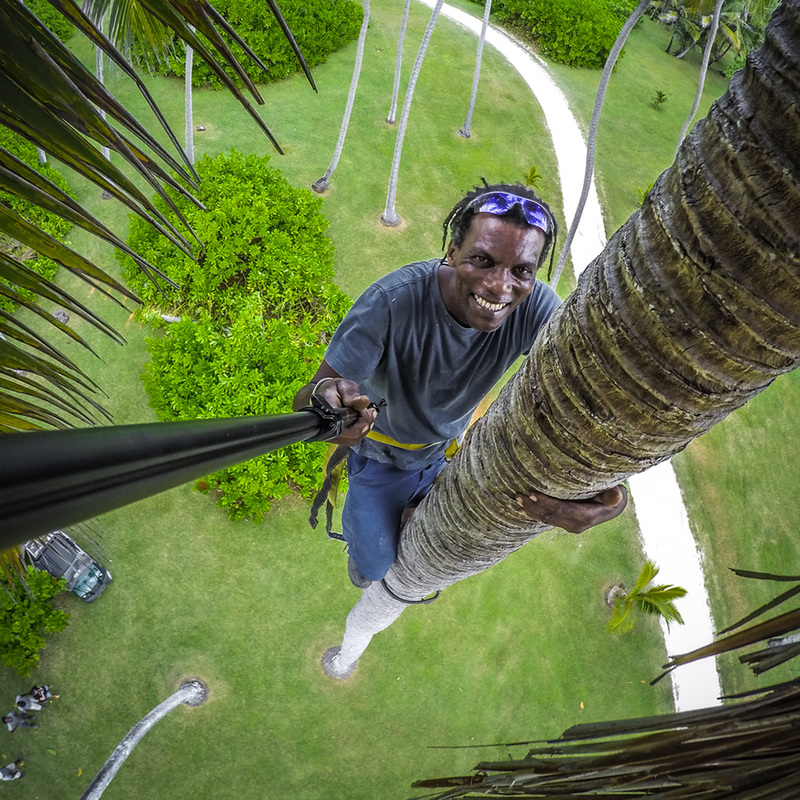 However, all will not be removed – we plan on keeping some coconut trees on the plateau and the fringes of the Island to preserve our heritage and to retain the tropical island feel. North Island is a fertile paradise. Coconut trees thrive on the Island’s abundant sunshine, rich soil and thirst-quenching humidity. 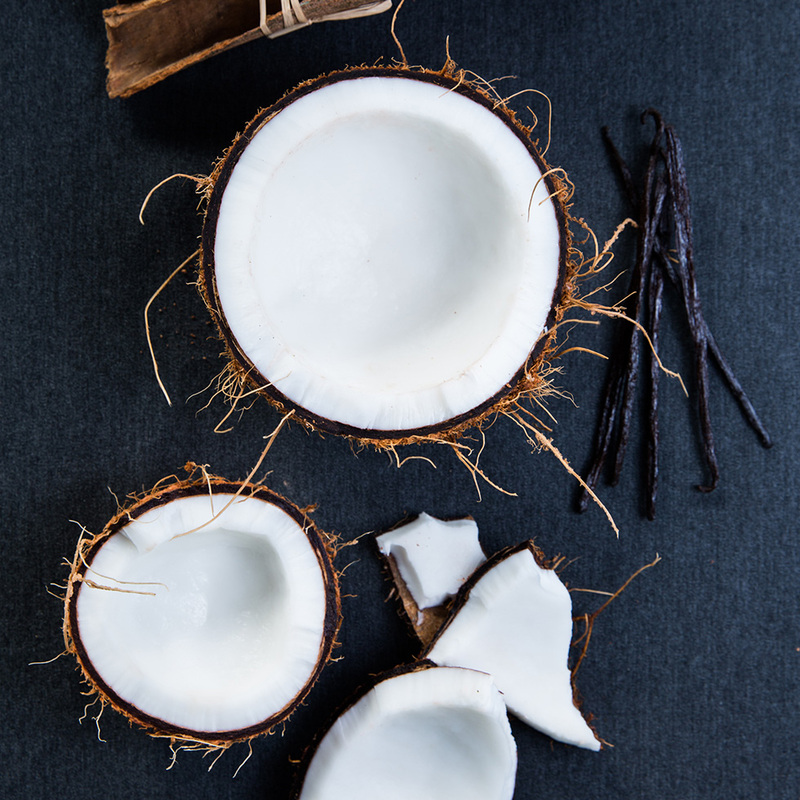 With a high reproductive rate and long-lifespan, coconut trees spread quickly. They live to an incredible age of 60 – 80 years and produce fruit year-round; a single tree can yield up to 75 coconuts a year. If you do the sums, that’s a lot of coconut trees. This was beneficial during the Island’s coconut plantation era, but no longer. From 1826 until the 1970s the island was farmed to grow fruit and spices, as well as producing guano, fish oil and copra. After the copra market collapsed, the plantation was sold and North Island fell into disuse. Many alien species of plants and animals remained behind and greatly impacted the indigenous Seychellois flora and fauna. One of these invaders being the coconut tree. North Island was purchased with the goal of restoring the unique biodiversity of the Seychelles to the island. From 2002 onwards, intensive vegetation rehabilitation was carried out, as a prerequisite for the implementation of the final goal of the project, namely the introduction of rare endemic species, such as the Seychelles White-Eye. Initially, priority was given to clearing the plateau and planting around guest areas. In 2005 and 2006, rehabilitation shifted to West Beach including the coastal fringe, the valley along the road to West Beach and fig forests on the plateau. Since 2009, clearing weeds and alien trees also started on the granite hill areas, a challenging task because of the difficult access. A new patch has recently been cleared near the helipad to reveal a beautiful large boulder at the base of Spa Hill. Invasive plant species are still being progressively cleared on a daily basis, and replaced by thousands of native plant and tree seedlings grown in our nursery and then transplanted throughout the island. Over the last five years, over 20 000 indigenous and/or endemic plants have been planted out; today, almost 30% of the total surface of the island (201 hectares) has benefited from a degree of rehabilitation. Evidence of the success of this conservation programme has been the fact that the Seychelles White-Eye population is flourishing and bird species such as Seychelles blue pigeons and breeding populations of wedge-tailed shearwaters and white-tailed tropicbirds have returned of their own accord. We will always retain part of our history by keeping some of the original coconut trees on North Island’s plateau. You can even spot notch marks on some of the oldest trees where plantation workers cut into the tree trunks and climbed up to retrieve their fruit. Look out for the original plantation houses which we lovingly restored and maintain. Spending time with our Environmental Team or simply exploring the island at your own pace will allow you to appreciate the results of the effort that has gone into rehabilitating this natural idyll.